The scheme is specifically designed for local people aged 60 or over who wish to live independently in a home of their own with the peace of mind of 24-hour access to care support. A show apartment is now available for people to book individual visits with a limited number of the one and two bedroom self-contained apartments still available. 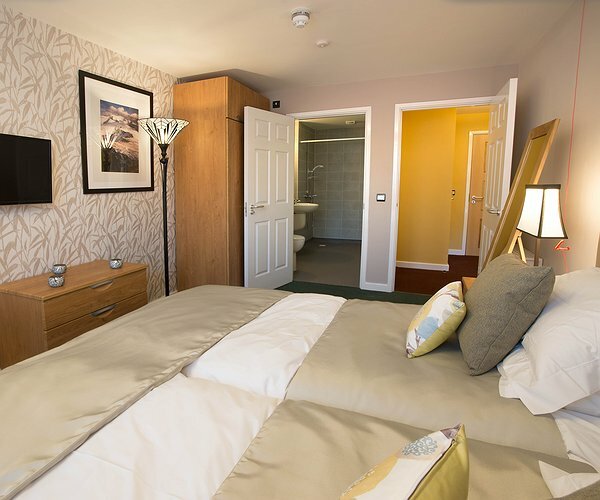 As well as 60 high-quality apartments there is also a wide range of communal facilities at the scheme, including a restaurant, resident’s lounge, hobbies room and mobility buggy store. The development is a partnership between Wrexham County Borough Council and Tŷ Glas Housing Society, part of the Pennaf Housing Group. It will be managed, on completion by Clwyd Alyn Housing Association, which is also part of the Pennaf Group, in partnership with the Local Authority who will provide the domiciliary care. "Housing Scheme short-listed for three UK Awards"